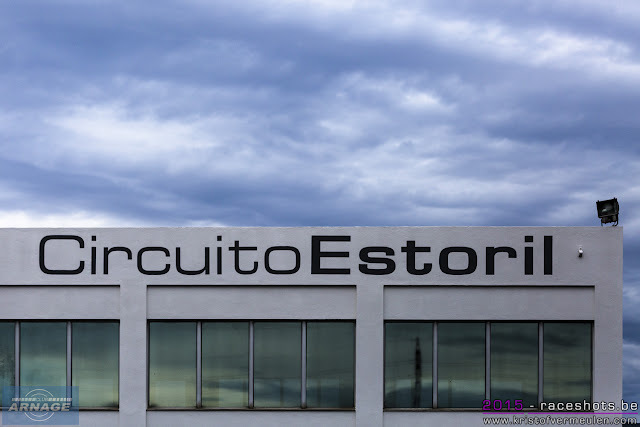 These dates are correct at the time of writing, but may still subject to change. 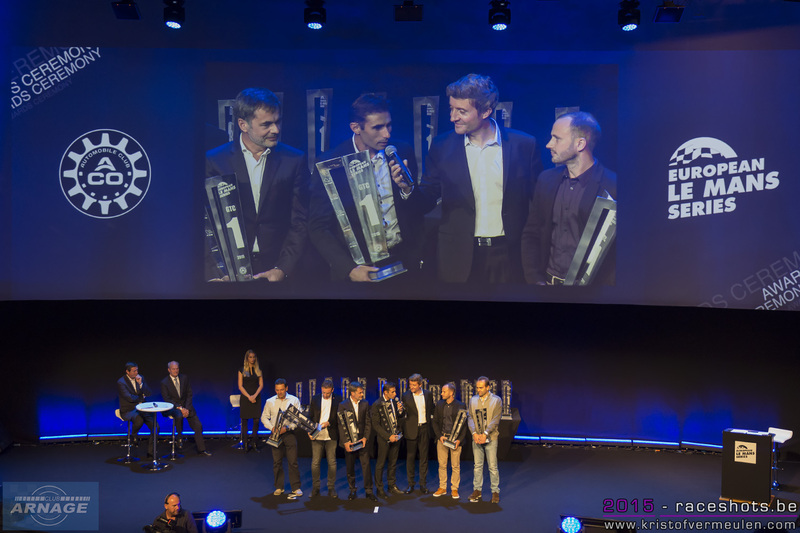 Sunday evening the ELMS honoured its 2015 champions in the impressive Centro de Congressos in Estoril. 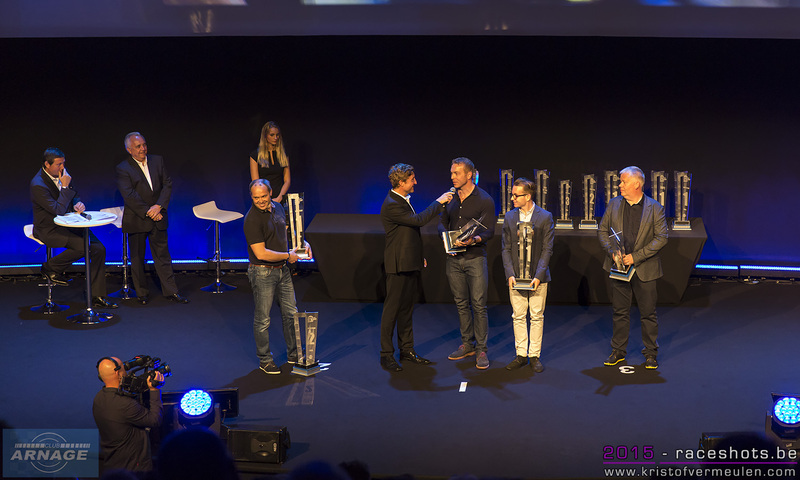 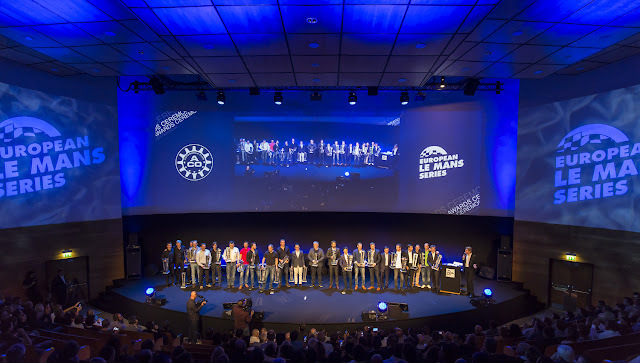 The award ceremony, hosted by Bruno Vandestick - speaker at Le Mans - celebrated another great season in the European Le Mans Series. 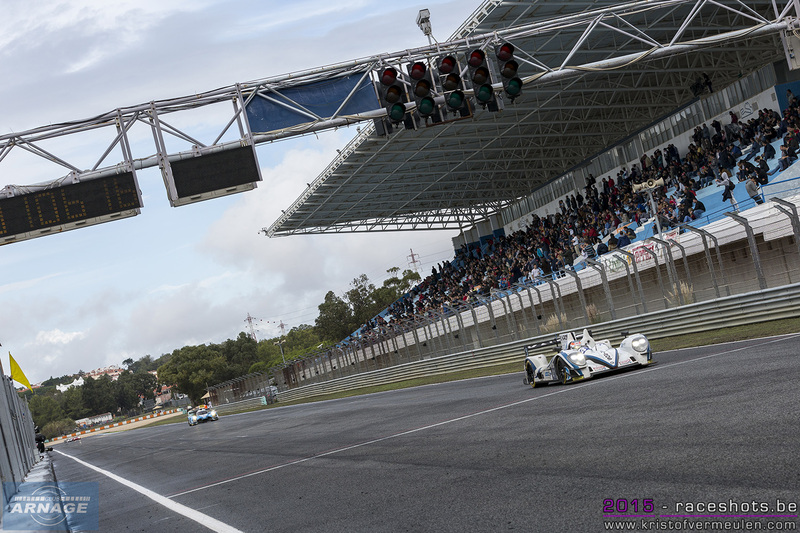 Pierre Fillion, president of the ACO and Gérard Neveu, CEO of ELMS hailed the fantastic season in the Europan Le Mans Series with 5 exciting races ending in a dramatic finale at Estoril on Sunday afternoon. 2015 saw racing on a high level, with a very competitive LMP2 grid and a high quality GT grid. 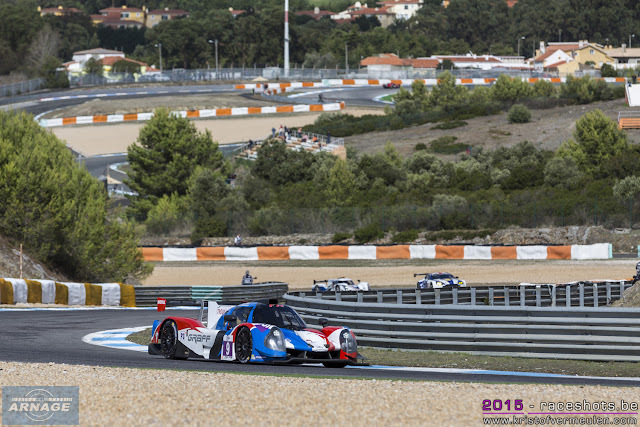 Also the addition of the LMP3 class has proofed itself succesfull, and will continue to grow in the upcoming season when new manufacturers will have their cars ready. After the reorganisation of the European Le Mans Series in 2013, the final of the 2015 season can be seen as the end of a 3 year development cycle. 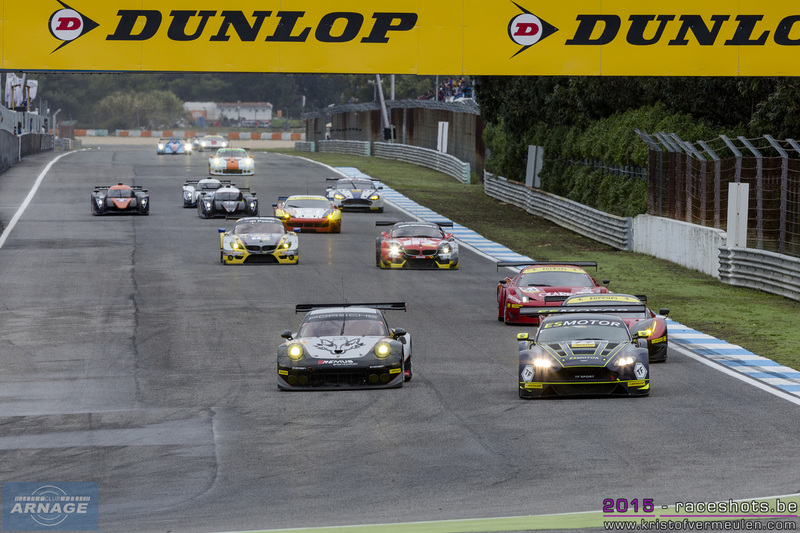 In those 3 years the championship has grown significantly, with a stable financial and organisational background, into a great series that's earned its mark on the racing calendar. 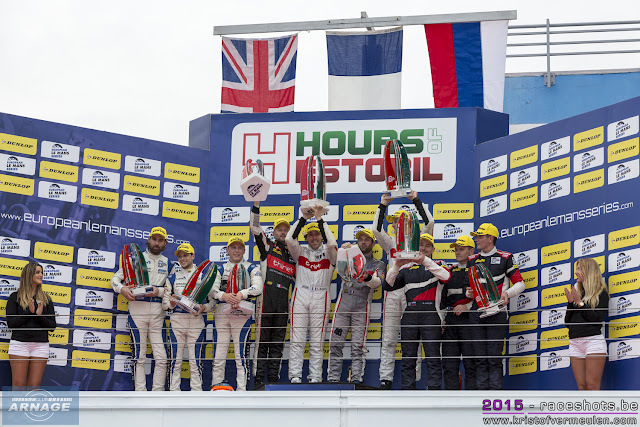 With the addition of prize money in 2016, the GT3 cup and the Renault series races, the ELMS has grown into a big and very attractive championship. 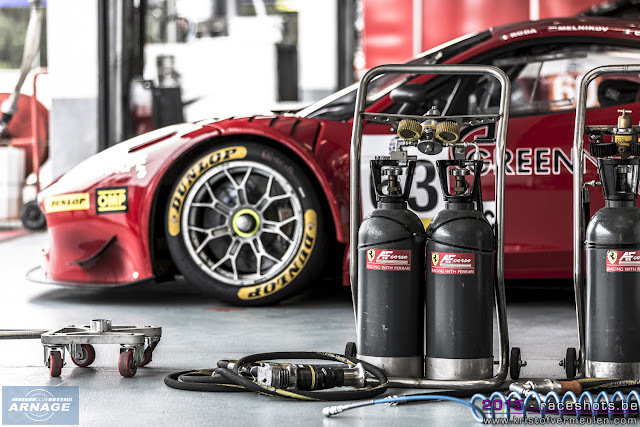 TDS Racing Team; a team that's been in endurance racing for several years with the same sponsors an entourage & shows a true passion for sports and endurance. 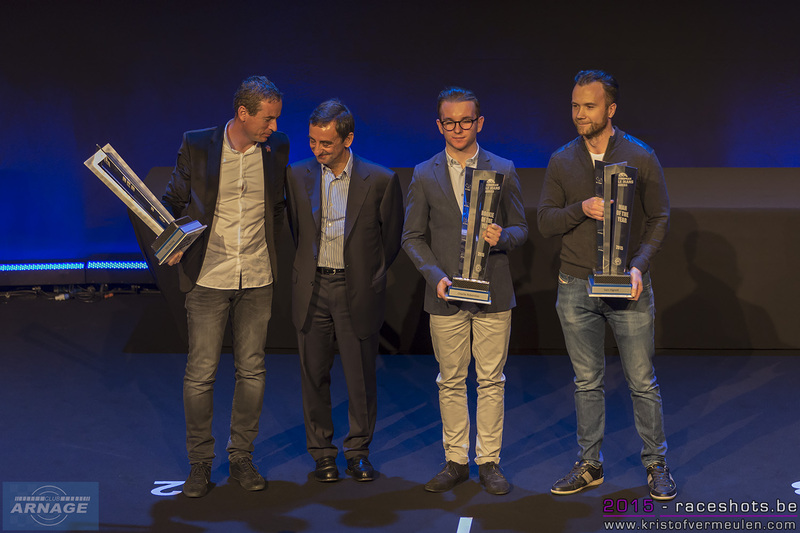 The team is also present in different classes (LMP2 and GTC), taking the title in GTC and becoming second overall in LMP2 this year. 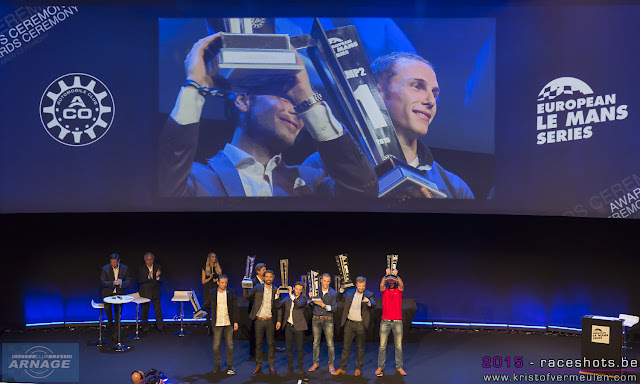 The man of the year award was handed to Sam Hignett of Jota Sport. 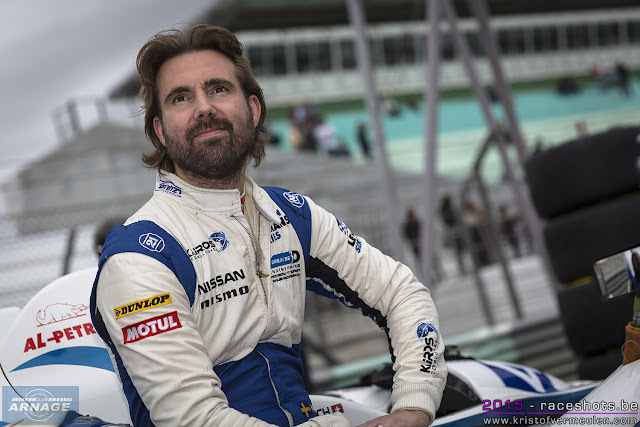 Hignett was praised as a man with a lot of qualities, with a real passion for racing. Hignett is z man with dreams, and he always manages to make them come true, step by step. After another good season for Jota Sport in 2015, they face new challenges next year with an additional entry in WEC, there's no doubt they will manage those new challenges. 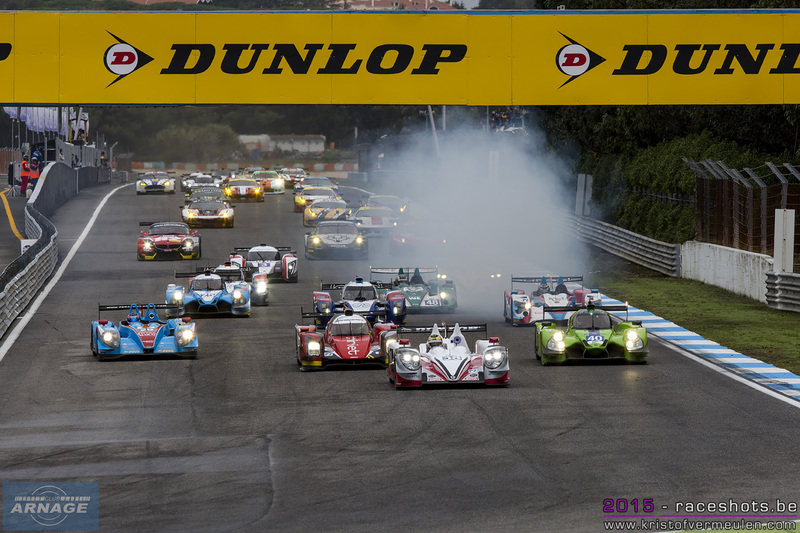 The ceremony closed off an exciting season of endurance racing. 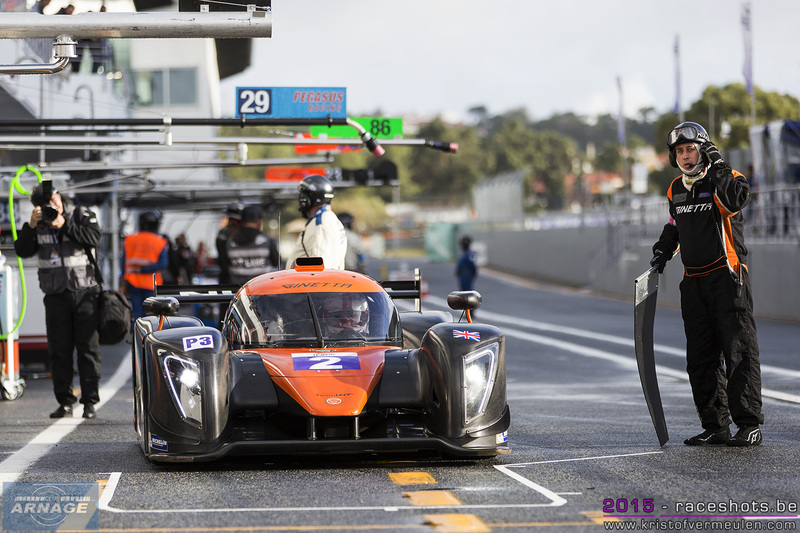 The 2016 season kicks off with the prologue in March at Paul Ricard. 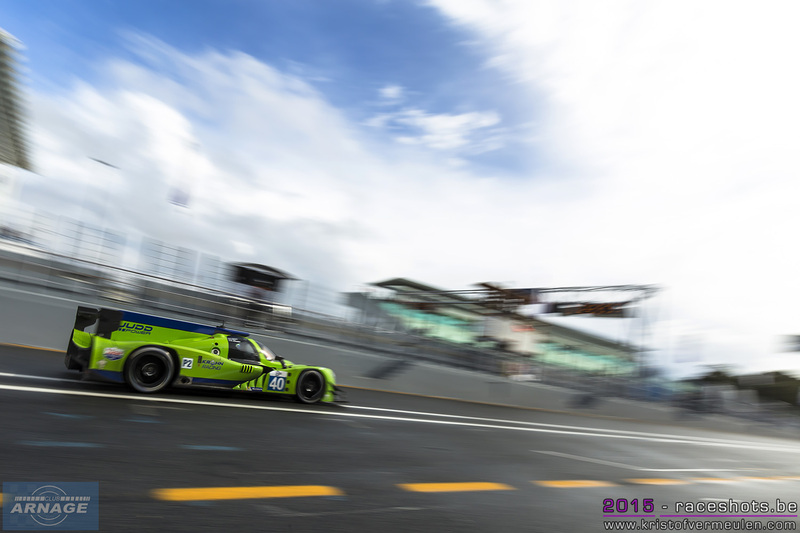 The date of the ELMS prologue has been changed to March 23th and 24th, just ahead of the WEC prologue. Spa dates for 2016 have now been confirmed for the last weekend of september, from the 23rd to25th. 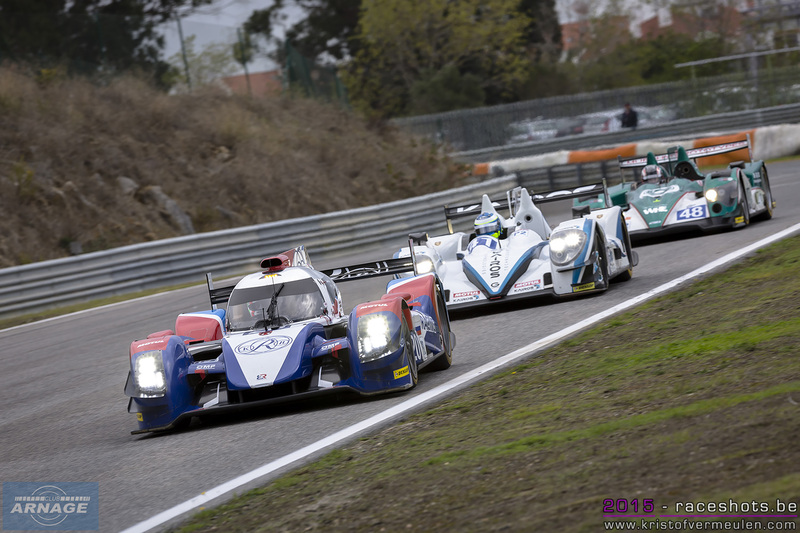 Entrance to the ELMS raceweekends will be free. 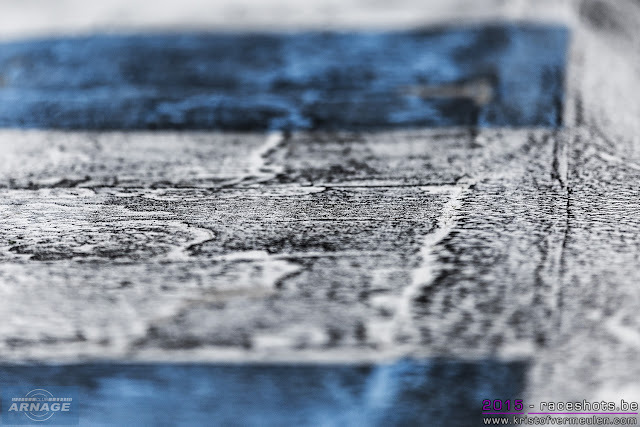 Paddock access (including access to the pitwalk & autograph session) will cost € 10 for the whole weekend. 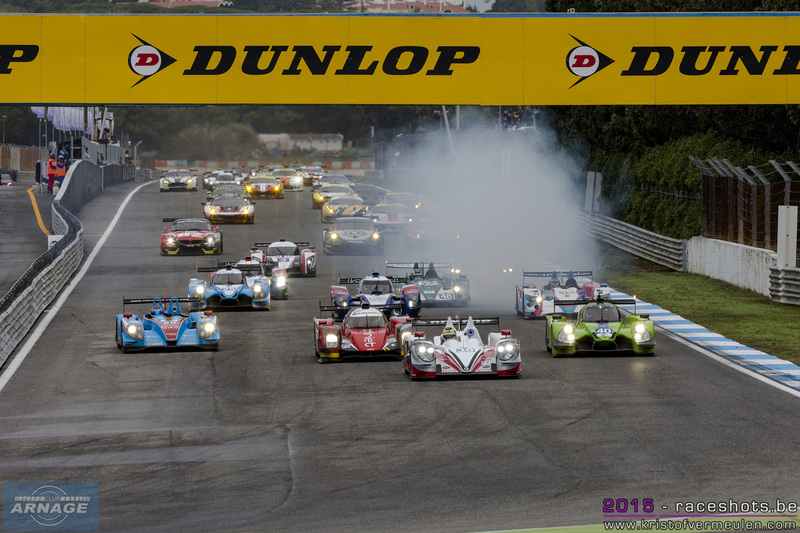 Fans will be offered a weekend full of action on and off track, headlining the European Le Mans Series 4 hour race, the 2 hour Michelin GT3 Le Mans Cup, single seater action in the Formula Renault 2.0 and the Renault Sport Trophy monotype championship. LMGTC : TDS Racing (entry in GTE). 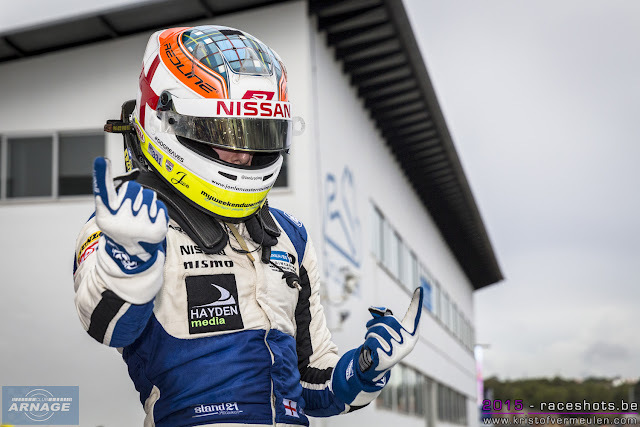 LMP3 champions, Sir Chris Hoy and Charlie Robertson will take part in a Nissan LMP2 test session by the end of the year. 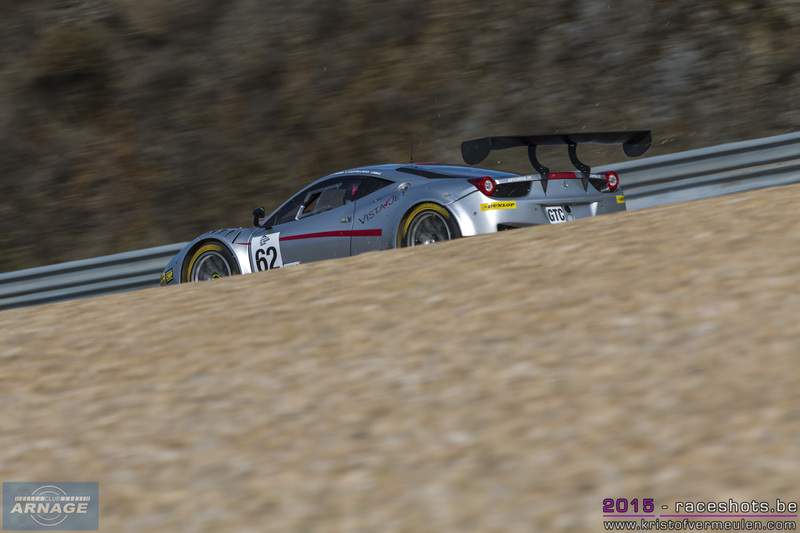 Date and track still to be confirmed. 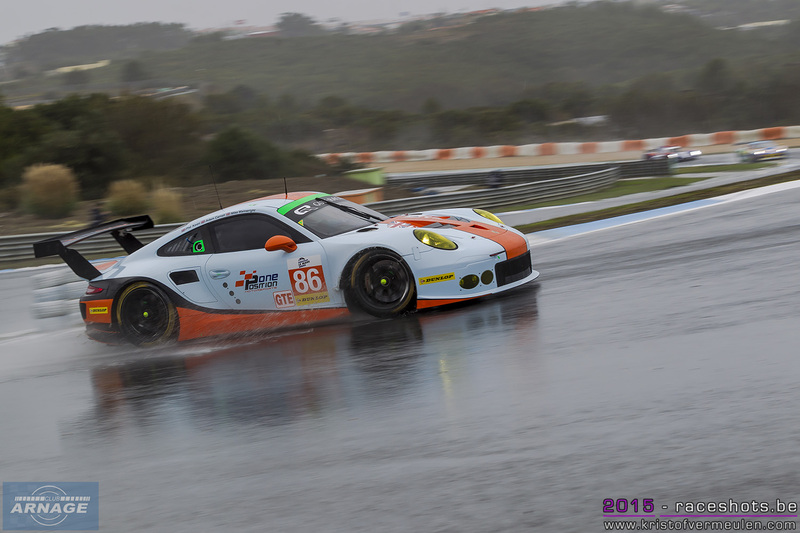 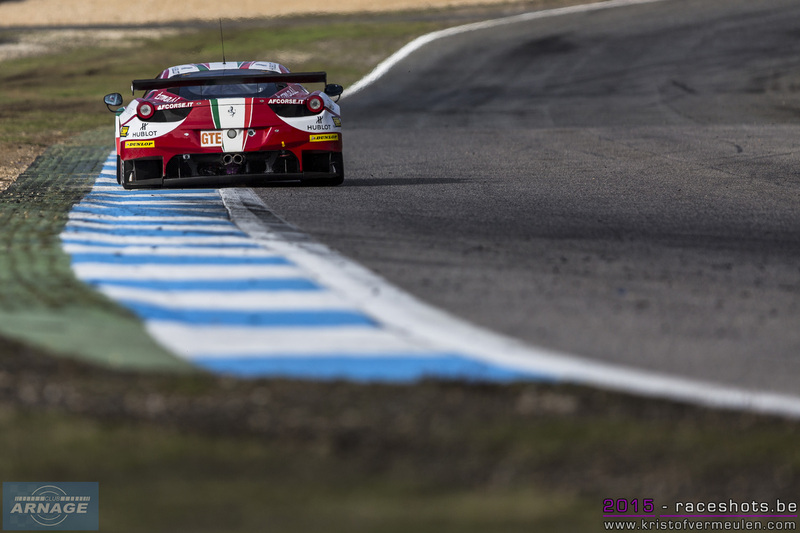 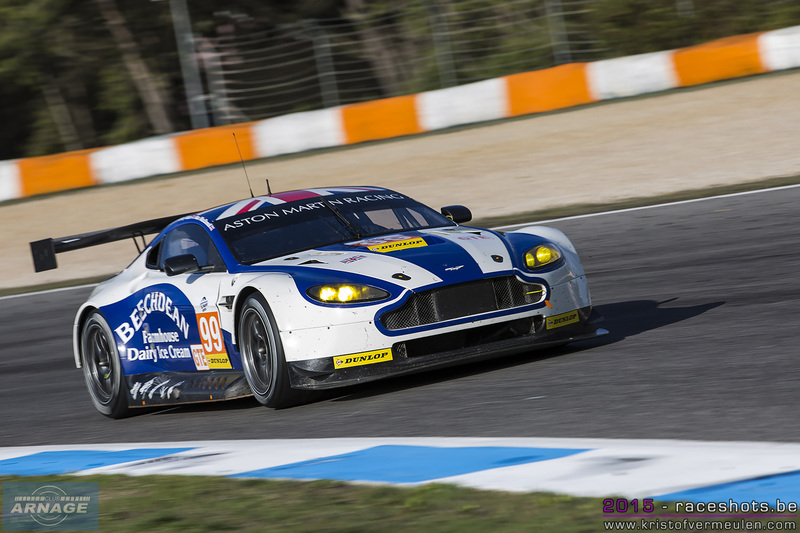 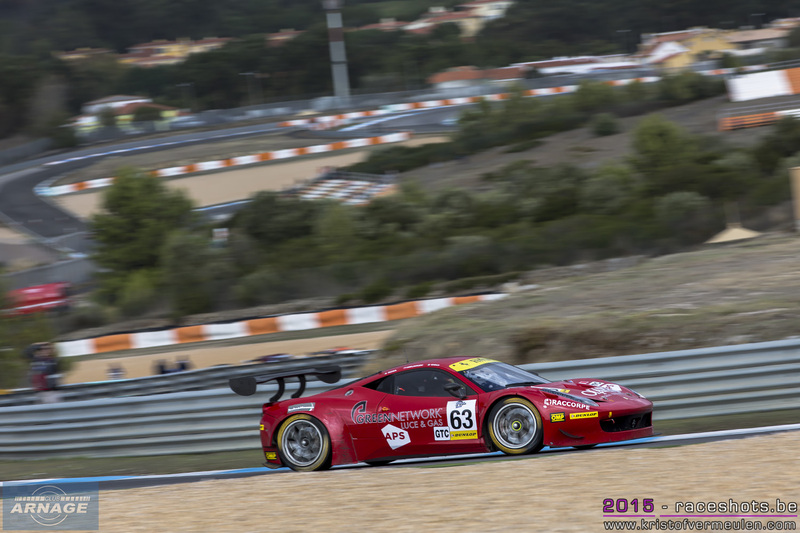 We've seen some exciting races over the 2015 European Le Mans season, but the finale in Estoril was a cracking way to end a great season in endurance racing. 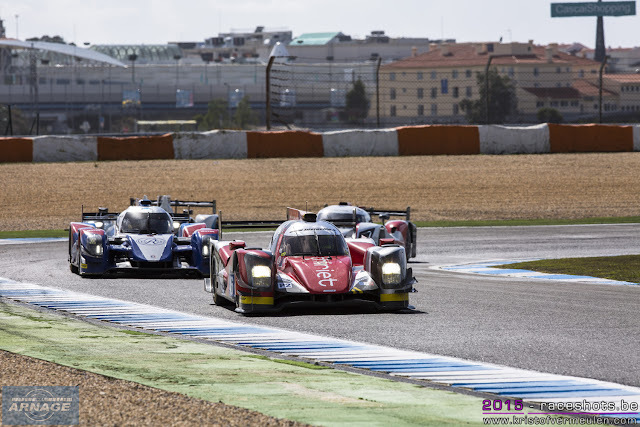 Jota Sport doubled its title advantage to 2 points before the race after local hero Albuquerque claimed pole position. 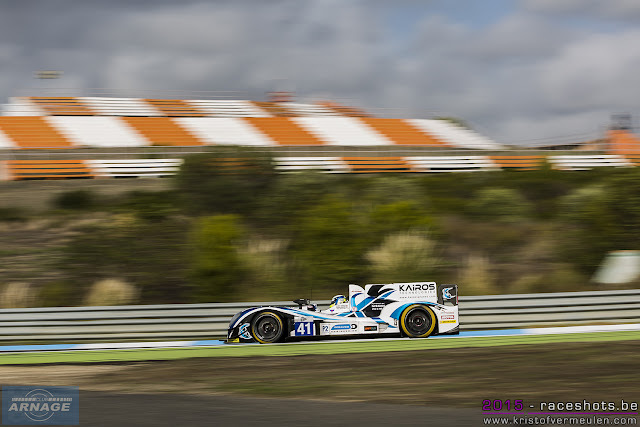 When the #41 Greaves Gibson was relegated to the back of the LMP2 grid due to an improved sector time under yellow, the mighty 38 seemed in an even better position to claim the 2015 title. 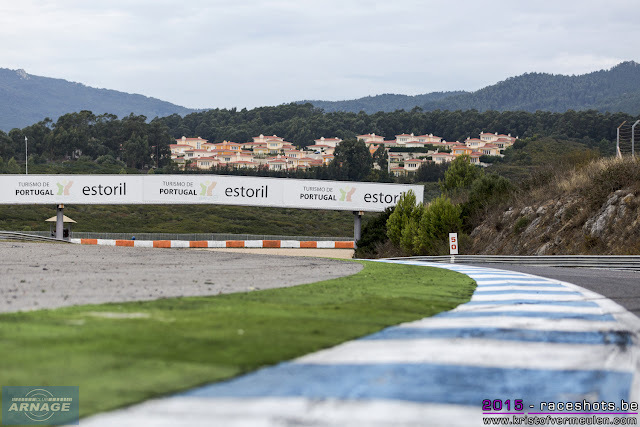 The race started under rather sunny skies, but how long would ik take for the rain to hit the Portuguese track ? Right after the start, Tracy Krohn in the #40 Ligier and Leo Roussel in the #29 Morgan spun in the first corner, luckily Bjorn Windheim in the #41 Greaves could get around unharmed and start catching up with the cars at the front of the field. At the front Albuquerque took a perfect start, building up a comfortable lead to the #46 Thiriet Oreca who got into second after Krohn got off track. Windheim set a high pace in his Gibson and it didn't take long before the 3 championship contenders took the 3 first places in the race. Time for the BR01's to throw themselves in the mix, with the #21 AF Racing in the hands of Victor Shaytar taking the lead after the first round of pitstops. Simon Dolan, on fresher rubber than Shaytar, took over the lead again and started to build up what seemed to be a comfortable gap. Untill disaster for the #38 team struck ... 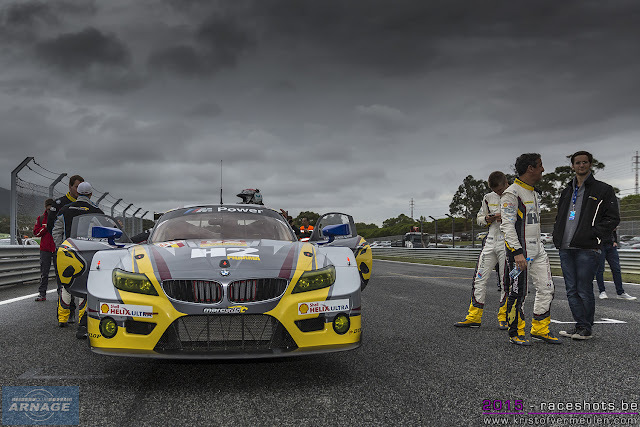 Dark clouds heading on to the circuit didn't predict any good news and after about 100 minutes in the race, heavy rain fell down on the track. 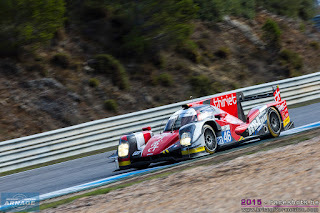 One of the first victims was, unfortunately, Dolan in the #38. He spun off, got trapped in the gravel and by the time he was back out again, had fallen back to seventh position. 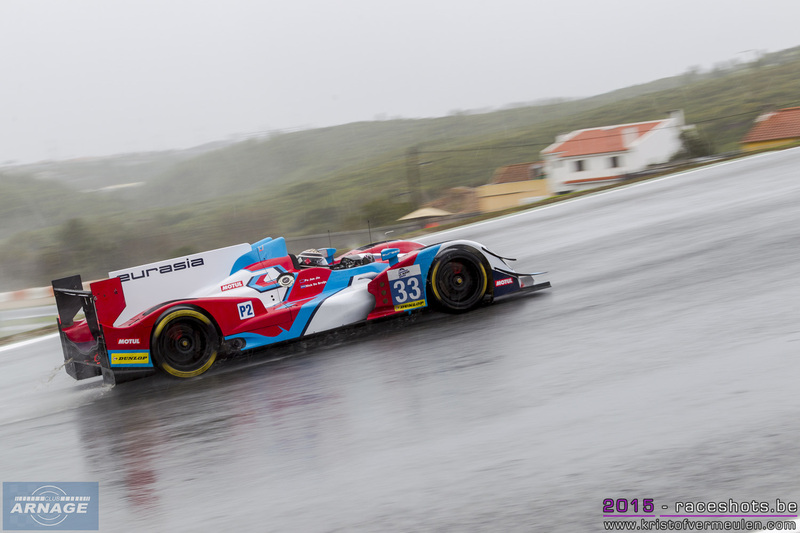 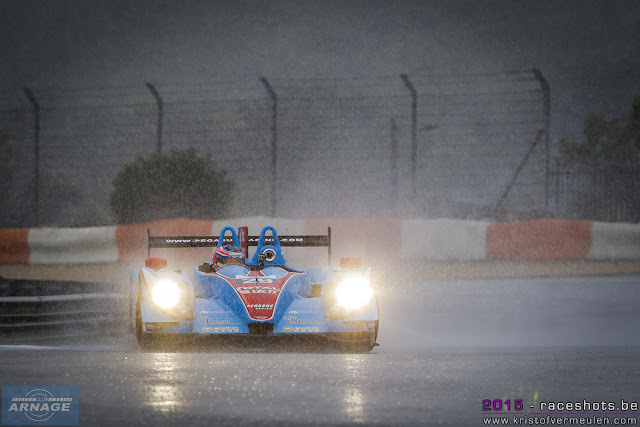 With the biggest rainshowers gone, the #21 AF Racing BR01 was leading, ahead of the #41 Greaves and the #46 Thiriet. 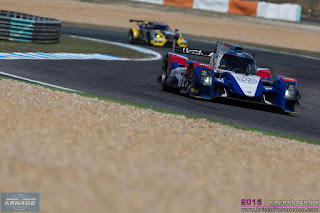 Dolan meanwhile got up to fifth, after the second BR01, but still needed to close the gap with the leaders to have a shot at the title. When Ladyginn pitted the #21, Gary Hirsch in the #41 and Thiriet in the #46 battled it out for the lead. 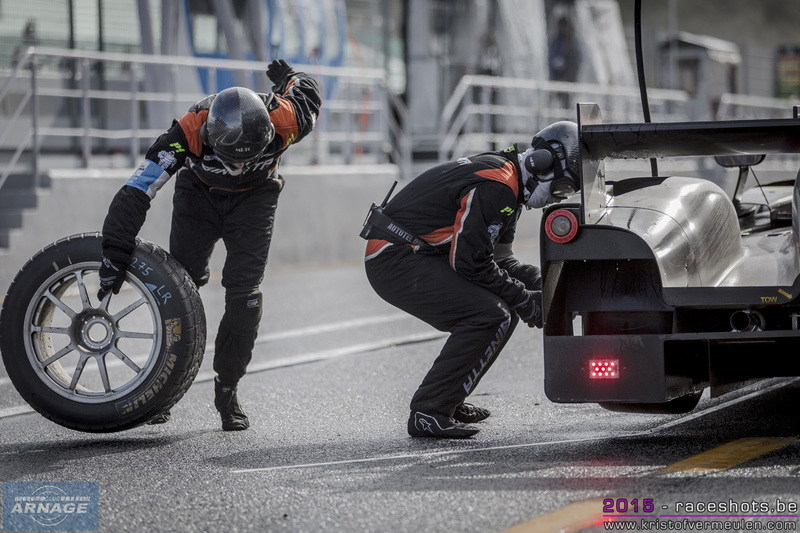 The sun came out again, drying the track so everyone back to slicks and a new round of pitstops. TDS came in first, put on slicks and Lapierre in the car who charged to first place as AF Racing waited too long to switch tyres. 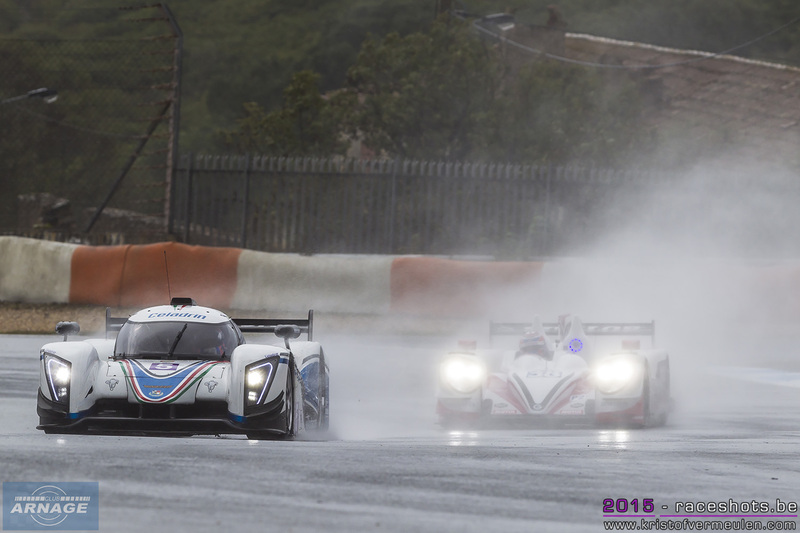 Going into the last hour of the race, Lapierre had built up an advantage of 52 seconds ahead of John Lancaster in the Greaves, ahead of both Russian BR01's. 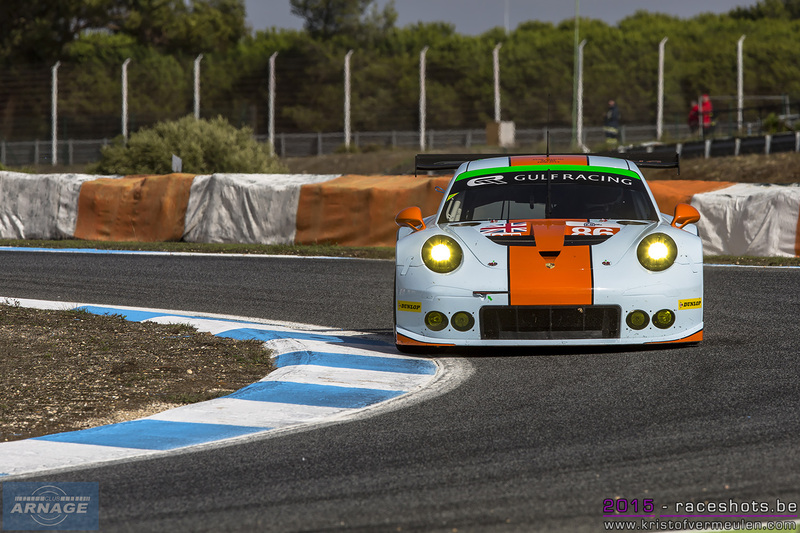 Harry Tincnkell took over the Jota Gibson, but at that point, wasn't anymore the same lap as the leaders. 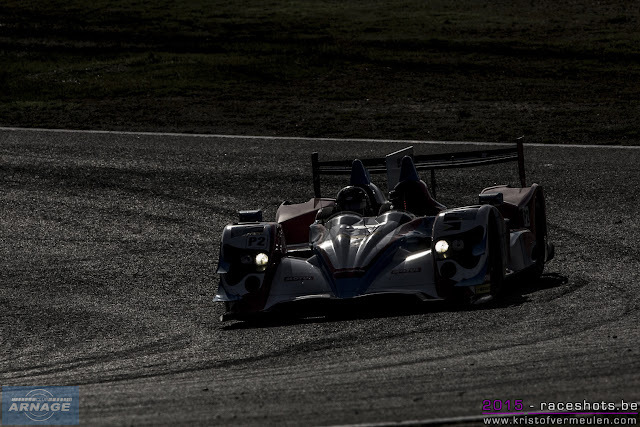 Starting problems after both pitstops costing the team 20 seconds every hour made them lose contact with the leaders. 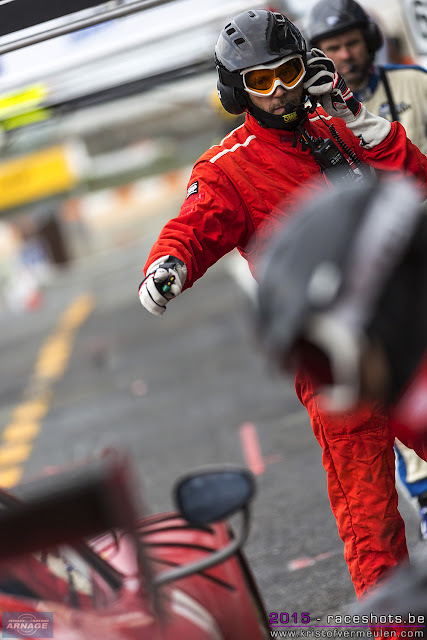 That didn't stop Tincnkell from pushing though as he managed to decrease the gap to around 30 seconds, untill Lancaster upped his pace again. 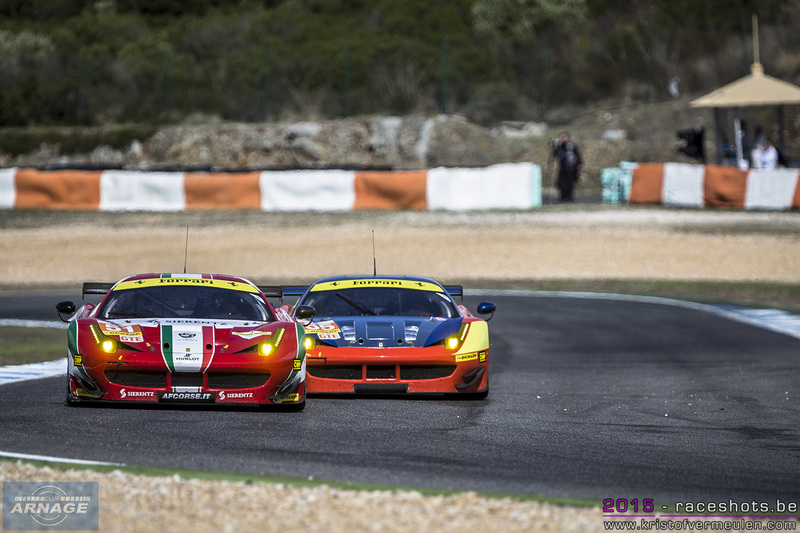 Surprise at the end of the race when the #41 received a stop & go penalty, apparently because Hirsch released his safety harness before putting the car to a full stop. Lancaster came in immediately, and just managed to keep his advantage over the #21. 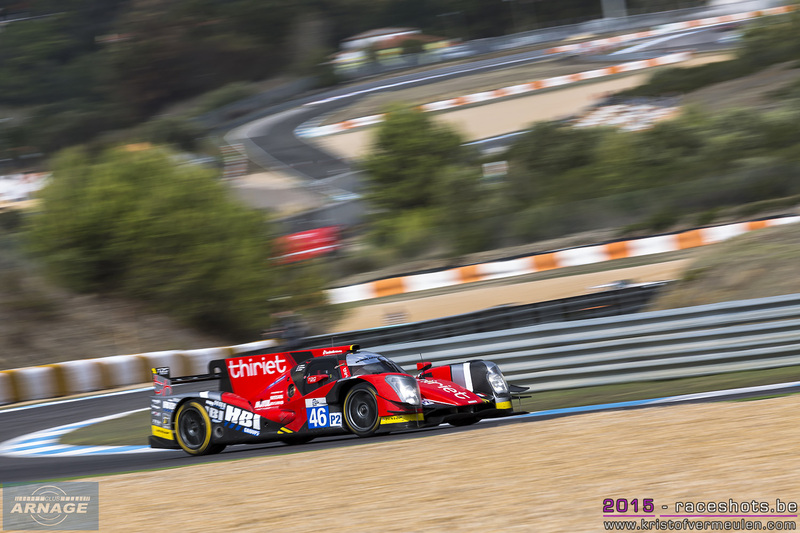 Tincknell came close to catch up with Lancaster but didn't have enough pace left in the car to ultimately close the gap and try to attack for second place. 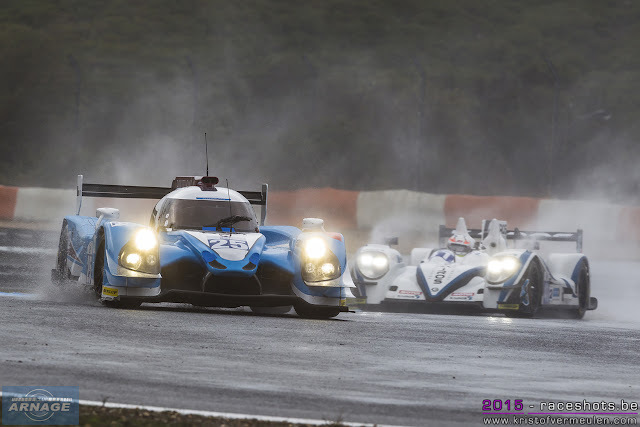 After 4 hours, Thiriet by TDS did what they had to do to have a shot at the championship; win their second race after Imola. But as they had to count on misfortune for the other contenders it wasn't enough. Greaves Motorsport took second place and the title with an advantage of 2 points over Thiriet. The #21 BR01 scored its third consecutive podium ahead of the unfortunate Jota Sport. 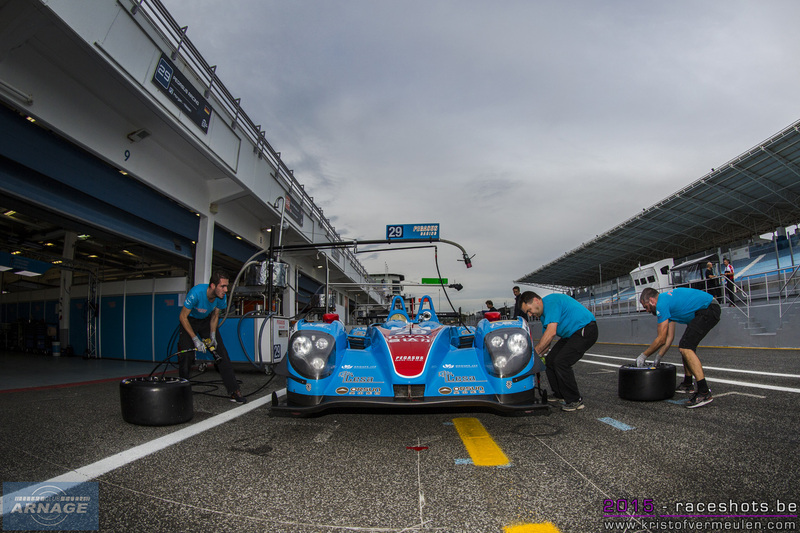 Scoring 3 podiums in a row, the BR01's are proving to be quick and more & more reliable every race. 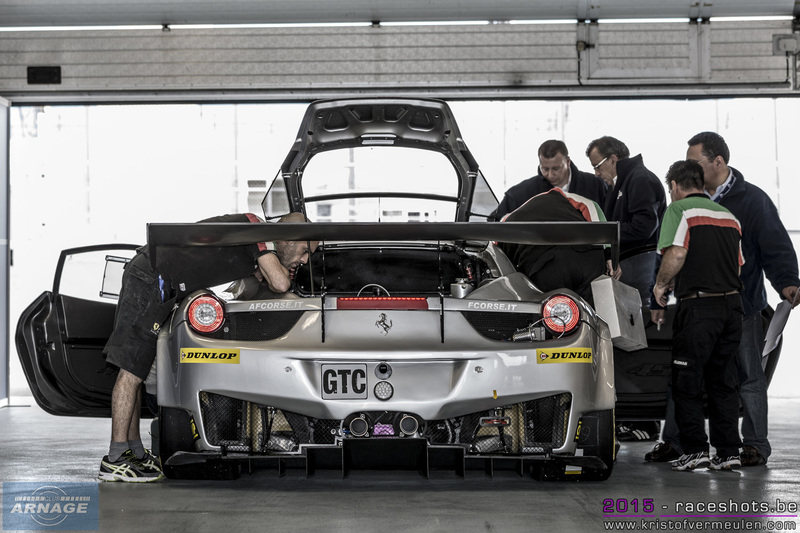 Makes you wonder sometimes why they didn't make it through the manufacturer selections for 2017. 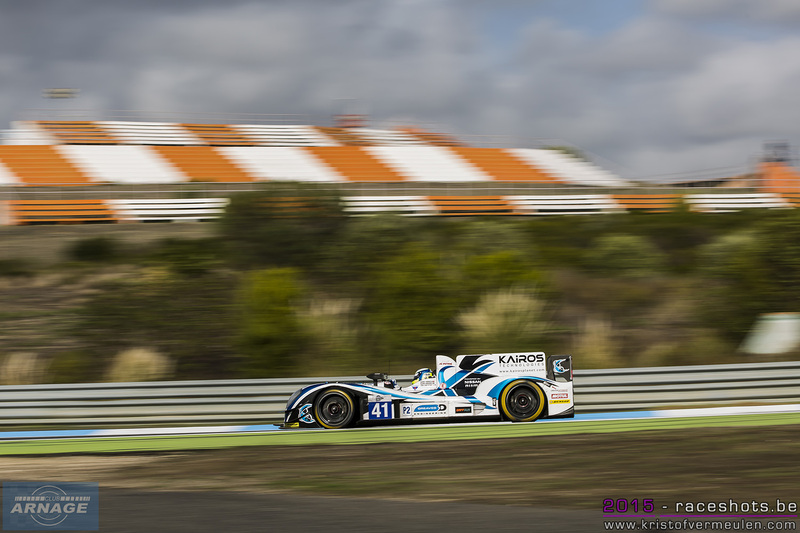 LMP3 saw the first outing of a Ligier JS P3 against the Ginetta's. 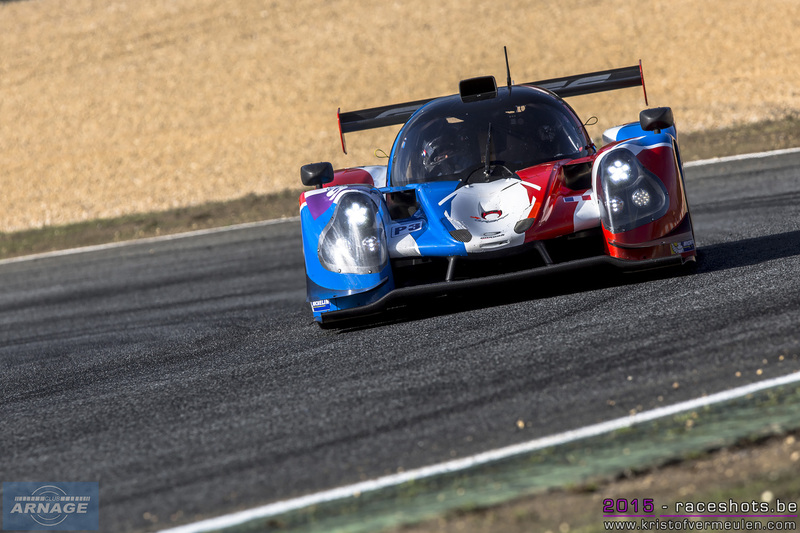 Mike Simpson and Gaetan Palletou who took pole on Sunday morning were put back to the end of the grid due to a yellow flag infringement in qualifying. 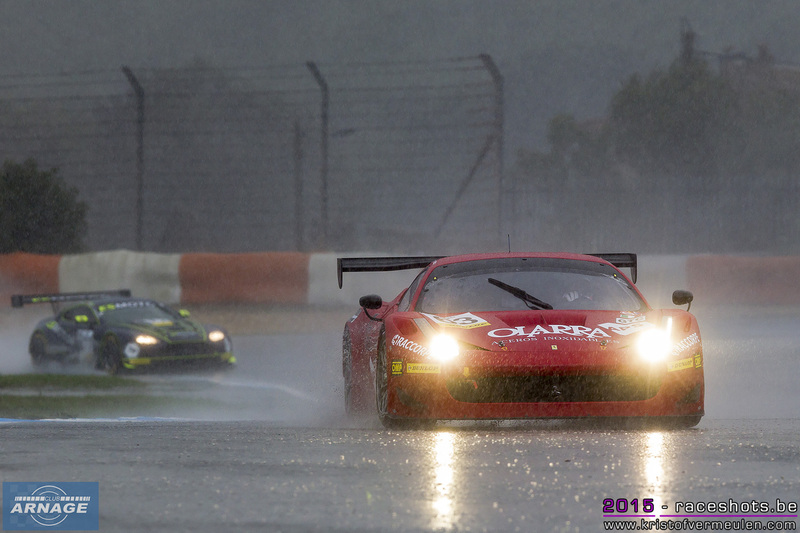 That didn't stop them from driving a perfect race, ultimately lapping every other car in the class. Behind them, the Graff Ligier took second place ahead of the #3 Ginetta, despite a late drive through penalty. The #15 SVK Racing was the final LMP3 at the finish, 4 laps down. The #5 Villorba Corse hit trouble early on and never made it to the end of the race. 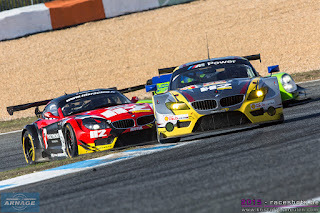 The last race of the Belgian Marc VDS Team ended with a dominating victory in the GTE class. 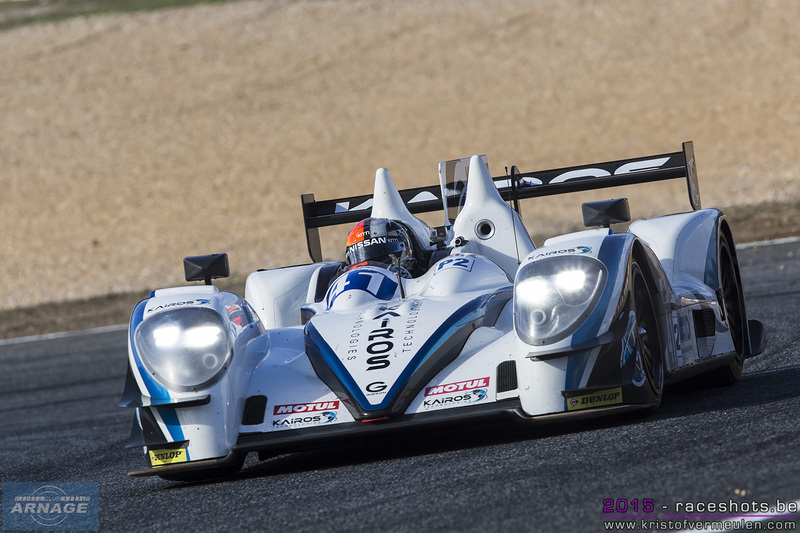 Henri Hassid started last on the grid but drove an impressive first stint, quickly overtaking no less than 15 cars. 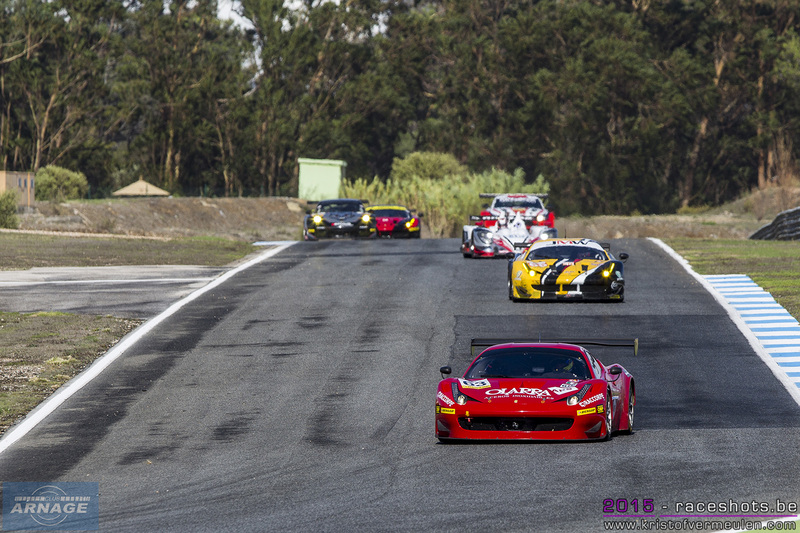 The #66 JMW Motorsport Ferrari led the race after the first hour, but abruptly stopped on track, handing over the lead to the #52 BMW who never looked back and went on to win with 1 lap advantage over the #99 Beachdean Aston Martin. 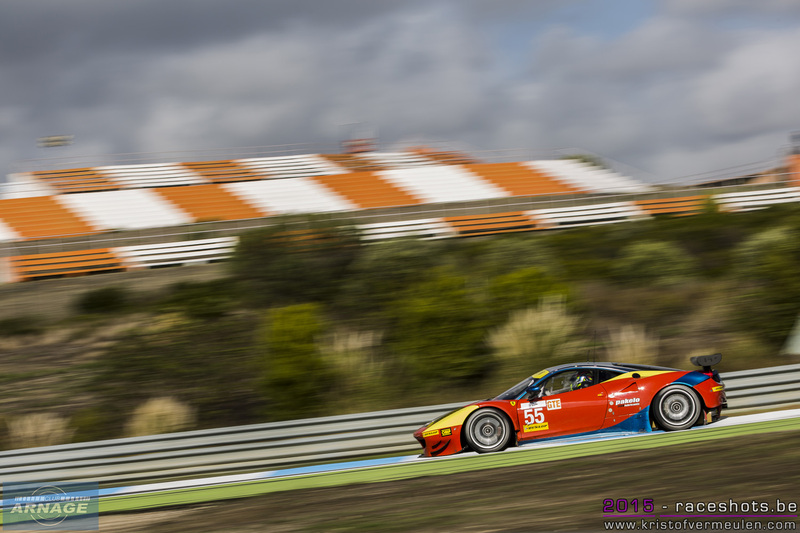 With most Ferrari's hitting trouble during the race, the #86 Gulf Racing UK took third place. 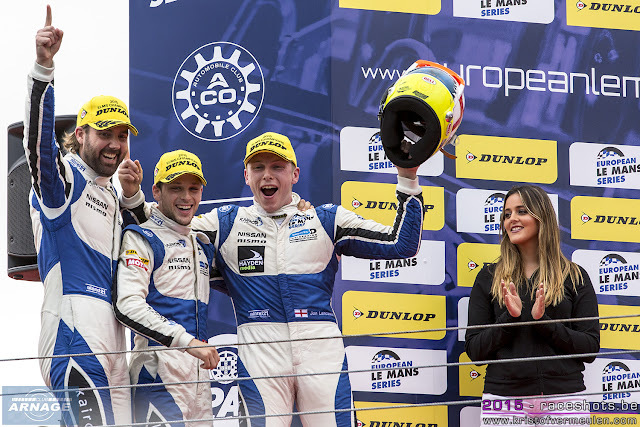 Their second podium of the season after winning the first round at Silverstone. 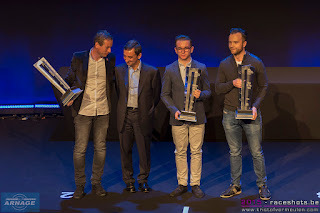 Championship leading #60 Formula Racing was never really in the mix for the race win, and drove conservately to 5th place, securing the title and their invite to the 2016 Le Mans 24 hours in GTE-Am. Coming in second in the championship, Marc VDS also got an invite for Le Mans, could this get the Belgian over the line to get the mighty Z4 out one more time in 2016 ? In GTC, the #59 BMW Z4 never got into trouble to clinch the 2015 title. 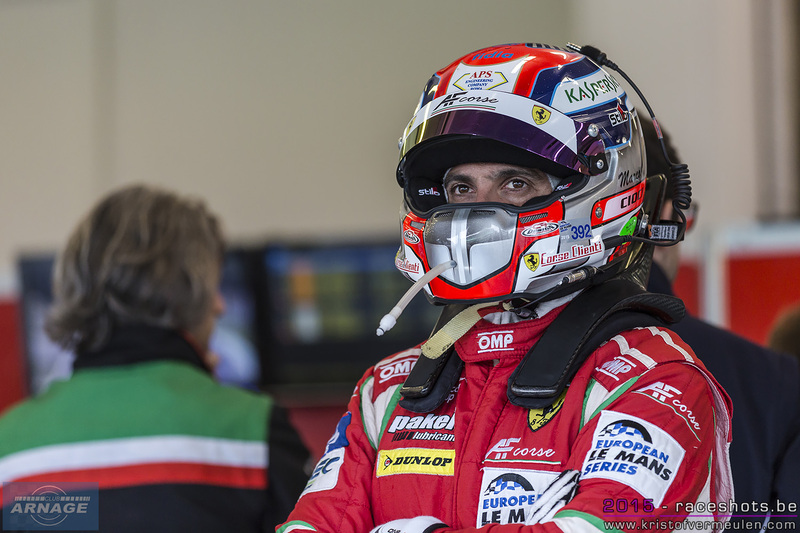 After a faultless race, Eric Dermont, Franck Perera and Dino Lunardi finished second behind the #63 AF Corse Ferrari taking their first win in the ELMS. 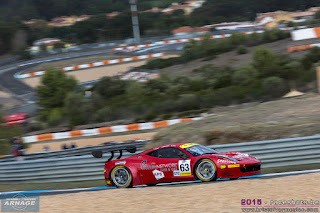 The #64 Ferrari Art car took the final podium spot. The #77 Aston Martin of TF Sport, in their first race in the championship, took the lead at the start of the race, but dropped down in the order after hitting troubles and a penalty.